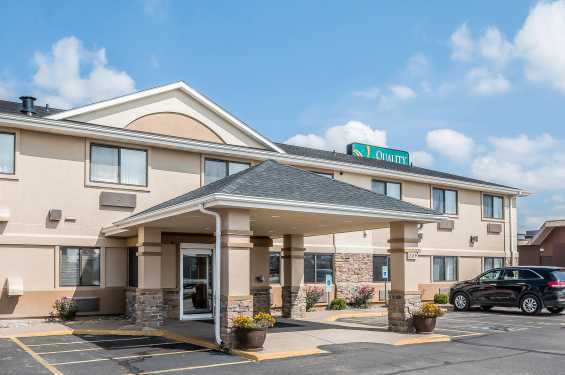 If you're coming to Coralville to visit the University of Iowa, or to do some shopping at Coral Ridge Mall, Quality Inn is the place for you. The Quality Inn is conveniently located off Interstate 80, just minutes away from the Amana Colonies and Tanger Factory Outlet Center. Whether traveling for business or pleasure, the Quality Inn has what you are looking for. Thier Business Kings have an over sized work area with modem hook-up for computers, and our spacious suites have a lounge area with a sofa sleeper couch and a microwave and refrigerator for guest use.